Note: This photo is a prototype image and may not completely represent finished product. 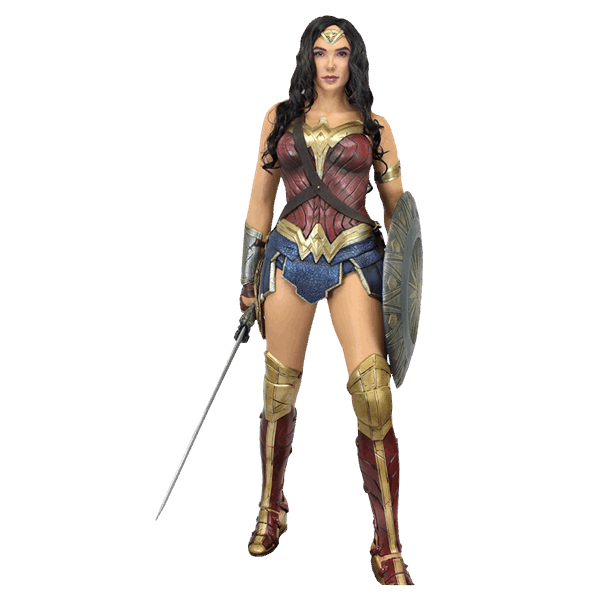 This impressive life-size foam figure from the Wonder Woman movie will stand guard in any room, from home to office to retail environments! 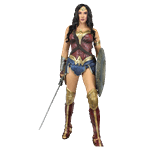 Based on Gal Gadot’s portrayal of the unconquerable warrior in the new movie, Wonder Woman stands slightly over 6’ 1" tall. The figure is made of foam rubber and latex that’s carefully hand-painted for realistic detail, and features synthetic hair. Ships in one box with stand included. Very simple assembly required; assembly and care instructions included.